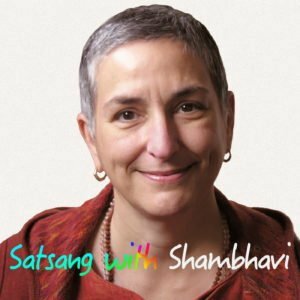 I thought I’d talk a little bit tonight about what we’re doing when we’re doing spiritual practice, when we’re doing meditation, or we’re doing mantra. What are we actually doing? First of all, we’re not doing something now so that something will happen later. Like, we take an aspirin now, and in twenty minutes or half an hour, our headache feels better. Some people sit down to do whatever practice they do and the idea is, “Let me get to the end of this so I’ll feel better. I’ll feel more relaxed, or less worried.” So, it’s really like just taking an aspirin. And then, some of us have very big goals for spiritual practice. We want to develop in some particular way. We sit down with the idea that even further down the road, something extraordinary is going to happen. Or, maybe we’ve read Autobiography of a Yogi and we’re just waiting for other realm beings to show up. The rest of it, while we’re waiting, is just kind of lost time. Or maybe we want to have a sense of accomplishment. We’re checking something off a list. How many minutes of this, how many minutes of that, how many rounds of this, how many rounds of that. We have a little notebook. We check it off. We have an app. Every once in a while, we look at the app. “Oooh, I meditated for 439 minutes this month.” Right? And we feel this sense of accomplishment.